With bonus access to SERP Analysis, and Competitor Keyword Research features. Everything you need to take your site to the next level! Related Keywords: Find hundreds of low competition keywords and get more rankings. Competitor Keyword Research: Keep ahead of your competitors by finding and targeting their ranking keywords. SERP Analysis: Easily run deep analysis on any keyword and see if it’s the best one to target. 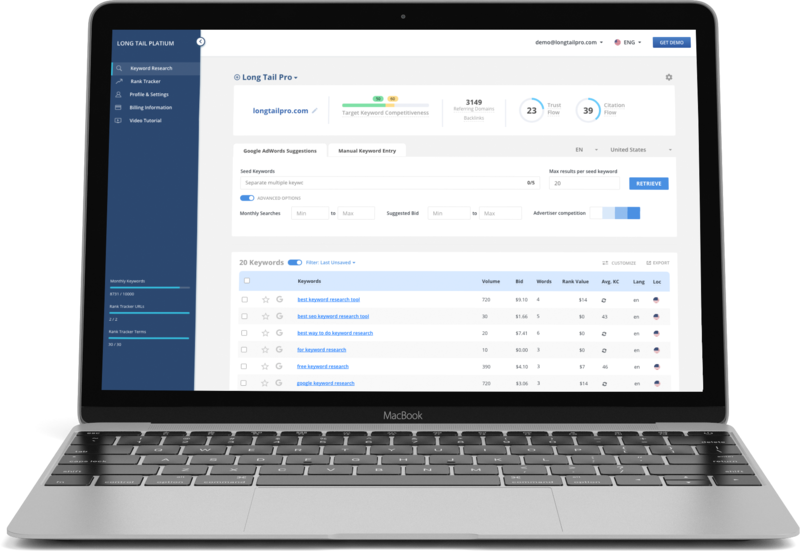 Rank Tracker: Find opportunities to optimize and improve your rankings by tracking the progress of your pages. Using the average Keyword Competitiveness metric, you can find the viability of keyword ideas for your brand on a scale of 0 to 100. Search any keyword to conduct a website competitive analysis of the top sites that appear in SERPs or Search Engine Results Pages. Compare your strongest and weakest competitors, alongside Keyword Competitiveness and monthly search volume. Check the Google results breakdown to view the SERP Availability -- higher SERP Availability means more of the page is filled with organic results, which will give your ranking page a better CTR. This Spring Fling Discount is available for a limited time only. Don't Miss Out!